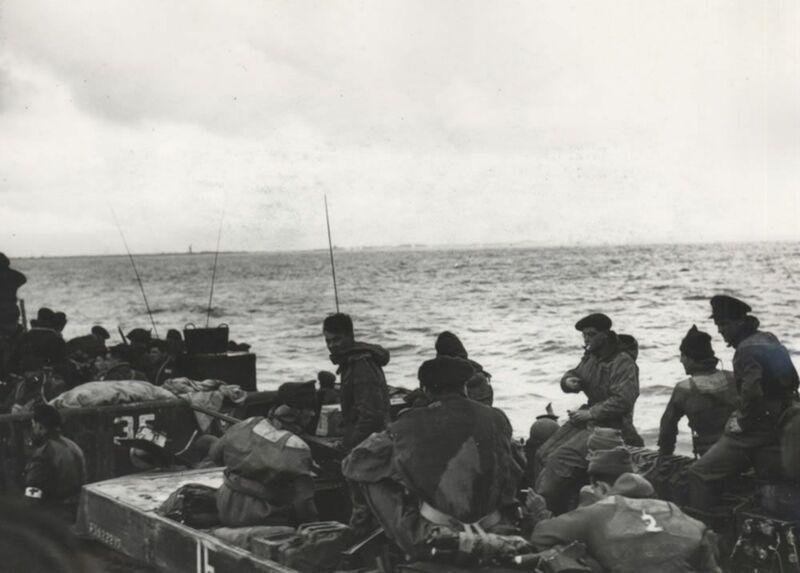 Marines of 41 (RM) Commando aboard LCT (Landing Craft Tank) 532, approaching Westkapelle during the landings at Walcheren, Netherlands, 1 November 1944. This Marines of 41 (RM) Commando aboard LCT (Landing Craft Tank) 532,.. Art Print is created using state of the art, industry leading Digital printers. The result - a stunning reproduction at an affordable price. Marines of 41 (RM) Commando aboard LCT (Landing Craft Tank) 532,..